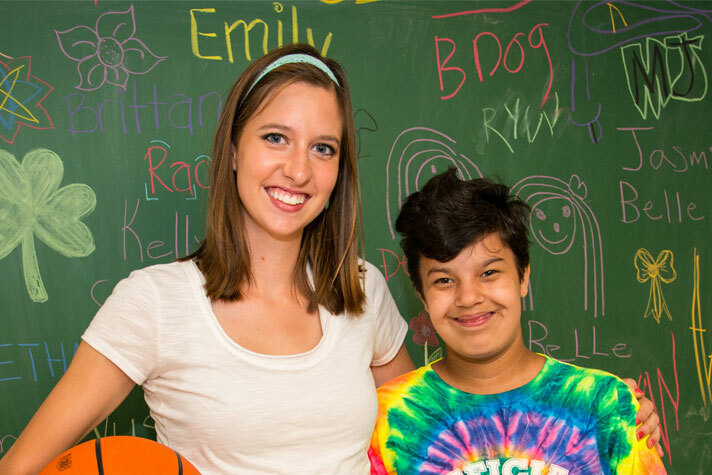 You can help children and adults with intellectual disabilities attend camp this summer where they can have fun with their peers while developing skills that will lead to more fulfilling lives. Many families do not receive funding to cover the cost, leaving some children and adults who would benefit most unable to attend camp. A donation of $300 funds a scholarship for a child or an adult to attend camp for one week. Donations can fund partial scholarships, or multiple weeks of camp. Camp Shamrock for children and teens and the ESO Summer Camp for adults are recreational programs that offer participants opportunities to swim, do arts and crafts, and go on field trips in the community several days each week. At the end, both Camps invite family and staff for a talent show where participants sing, dance and perform skits. By focusing on new recreational skills and making friends, Camps are a highlight of the summer for participants. Every donation will mean a better, more meaningful summer for a child or adult in need.